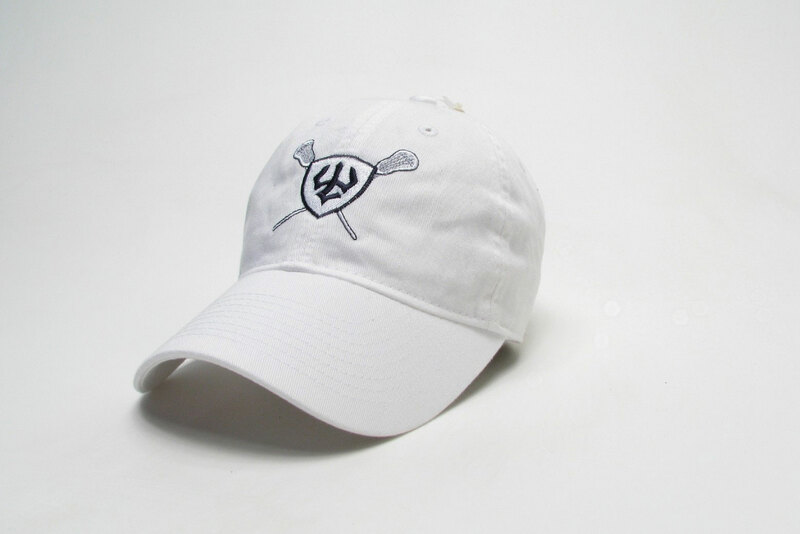 The classic "sticks" hat in white or navy with embroidered trident and sticks. Soft EZ fit cotton twill. Adjustable. From Legacy Athletics.